According to a new Caring.com survey, only 42 percent of U.S. adults currently have estate planning documents such as a will or living trust. For those with children under the age of 18, the figure is even lower, with just 36 percent having an end-of-life plan in place . . . The study, conducted in January by Princeton Survey Research Associates International, asked 1,003 adults whether they currently have estate-planning documents in case of their death, as well as the reason why not (if applicable). Forty-seven percent of survey respondents without estate documents said, “I just haven’t gotten around to it.” This is unsurprising to experts, who say an aversion to end-of-life planning is not only rooted in fear but also procrastination . . .
Again, I recommend that you read the entire article. If you are one of the adults in this survey that has no estate plan in place, 2019 is a great time to start one. We offer free, in person, one on one, no obligation initial consultations to answer your questions about estate planning and offer suggestions on what might work best for your circumstances. Email me at anytime with any questions if you would like to set up an appointment at guy@guymurraylaw.net. “Noel Aimes, who never learned to read and write, wanted the house to stay in the family, and in the 1990s proudly built additions to accommodate its growing numbers, Harrison said. But because he died two years after his wife and didn’t name a beneficiary, state law allows his blood relatives — specifically his nieces and nephews in Barbados — to claim the house over a stepchild. If you don’t have an estate plan in place, or if you have one that needs updating, feel free to email me at anytime for a no cost, no obligation, in person consultation. You can reach me at guy@guymurraylaw.net. Tomorrow is promised to no one . . .
“What are the steps of estate planning? 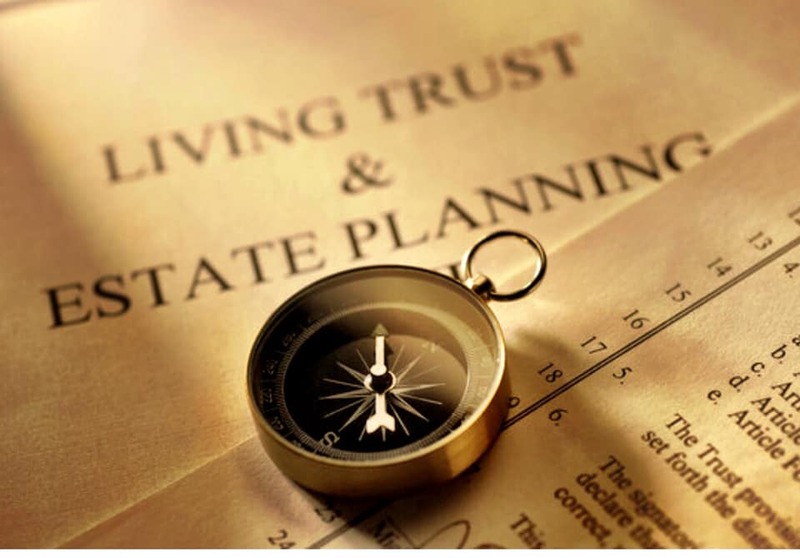 Identify your goals for creating an estate plan: Do you want to provide for your family, protect assets, prepare for incapacity, take control of your legacy, or do all of the above? List the asset you want to include in your plan: When making a plan, you need to consider all of the money and property you own either independently or jointly. Identify the risks to your assets and make plans to protect them: If you lose your wealth because of high nursing-home costs, because of creditor claims, or because you don’t make a business succession plan, then you’ll undermine your efforts to leave a legacy. You need to know what risks you face and mitigate them. Identify the loved ones you want to provide for and protect: There may be many people in your life whom you need to consider in your plan, including not a spouse, children, friends, and even pets. And your loved ones may all have different needs. For example, your minor children will need a guardian if you can’t raise them to adulthood. Decide whether you want to make charitable contributions: You may want to make bequests in your will to a charity, or take other steps to give such as creating a foundation or a charitable remainder trust. Determine whether your potential heirs or beneficiaries have any special needs: In some cases, you’ll need to take extra steps to ensure that an inheritance is transferred appropriately and used wisely. Determine whether you’ll owe estate tax: The federal government and some states charge taxes on larger estates. Decide whether avoiding probate is one of your goals: In most cases, assets transfer through the probate process, which can be complicated and expensive. You may want to avoid this, and that will require different estate planning techniques. Think about what will happen if you become incapacitated: If an illness or injury leaves you temporarily or permanently incapacitated, you’ll need to consider questions such as who will make decisions for you and what kinds of care you’ll receive or reject. You’ll also need to think about who will provide you with care and how you’ll pay for it. Make sure you have the right insurance policies: If you don’t have enough money to provide for dependent loved ones, you may need to obtain additional coverage, such as life insurance. Determine what legal tools you’ll need to use: You may need to use tools such as trusts, a power of attorney, advance directives, and a last will and testament to accomplish your goals, provide for loved ones, and prepare for incapacity. Overlooked in the brawl over expiring Bush-era tax rates is what will happen to the death tax. Without action in the lame duck Congress, the estate tax will rise from the dead on January 1 with a vengeance, the rate climbing back to 55% from zero this year. The exemption amount will revert to a miserly $1 million, unindexed for inflation, so more middle class taxpayers will get hit year after year. Liberals are content to let the rate revert to 55%, with some moderate Democrats arguing for a 45% rate. Republican Jon Kyl of Arizona and Democrat Blanche Lincoln of Arkansas are pushing a compromise that would lower the top rate to 35% with a $5 million deduction. That rate is still 35 percentage points too high for our liking, but we’ll take it as an alternative to the greedy political confiscation of more than half of the wealth built by someone who has saved over a lifetime. An estate of $5 million isn’t all that much for a successful and thrifty business person with some real estate to accumulate over 50 or 60 years. President Obama and Congressional Democrats don’t think this is a high priority, but voters do. A November Gallup Poll found that Americans think that keeping the estate tax “from increasingly significantly” is “very important” by 56% to 17% “not too important.” That’s more than think it is a priority to extend current tax rates (50%), extend jobless benefits (48%), ratify the Start treaty (40%) or let openly gay men and women serve in the military (32%). Congress really only has until about mid month when it adjourns for its current session, and the remainder of the year. Further inaction will only hurt middle class families more, particularly since they are the least able to cope with the new estate tax rates than are the heirs of the very wealthy. Stay tuned . . .
An interesting special report from the Tax Foundation entitled: The Federal Estate Tax: Will it Rise From the Grave un 2011 or Sooner? You can read the entire report here: The Federal Estate Tax. See also here.